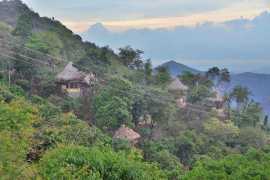 Our selection of boutique hotel accommodation to rent in Minca in the Sierra Nevada de Santa Marta. We have handpicked this locations for their quality of service, good prices, or location. We personally know all of the locations and the owners and can recommend all of them. Accommodation Minca: Boutique Hotels There are no products in this category.